[Special Promotion] In a lush clearing, mere steps apart, lie Kiso Valley’s Odaki and Medaki: male and female waterfalls, so named because of a love-struck couple who passed them while traveling on the Nakasendo Way in ancient times. Betrothed to others, the pair tried to cool their ardor for each other by standing under their respective waterfall, which both continue to be a point of interest today. 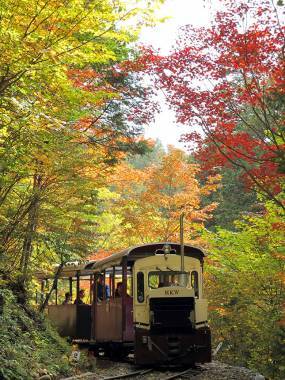 One of only two routes that connected modern-day Tokyo to Kyoto during the Edo Period, the Nakasendo is popular for the pristine nature and historic sites through which it passes. Though much of the route has become the roads that link Japan’s major cities, in the heart of the Kiso area the route remains untouched. At our entrance to the trail, a winding cobbled path leads up into a beautiful forest. Morning light streams through the trees and birdsong fills the air. As the trees thin out, open ground and mountains in the distance form the backdrop. 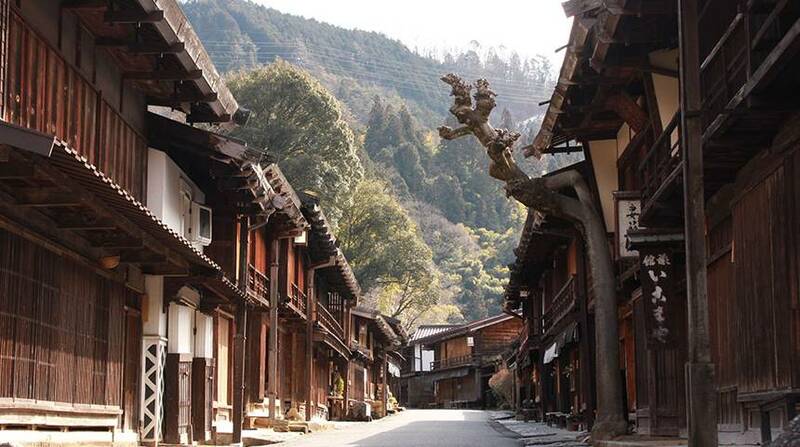 On arrival in Tsumago-juku, one of the best preserved former post towns in Japan, we are struck by its authenticity. Edo-style wooden houses, restaurants and ryokans line the narrow streets, prompting visitors to slow down to examine the traditional structures, inviting wares, and warm atmosphere. For lunch, we choose Fujioto Ryokan, another beautifully preserved building set back from the main street, complete with gardens and a pond filled with carp. 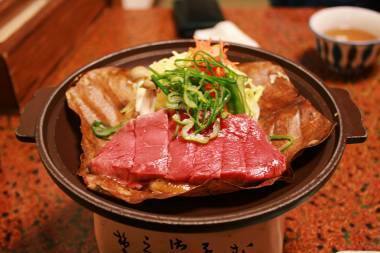 We enjoy the recommended lunch—beef on a bed of miso cooked on a magnolia leaf—while our host regales us with details of the inn, which his family has owned and managed for 100 years. After a period in Europe, he is delighted to be back at the helm, using his language skills to welcome international tourists. Another business extending a warm reception to visitors from abroad is Daikichi. 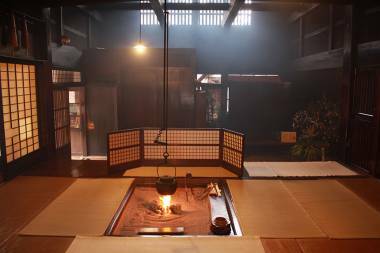 With cosy and comfortable tatami rooms overlooking fields and mountains, as well as a family-style bath, this ryokan is often fully booked up to one year in advance. 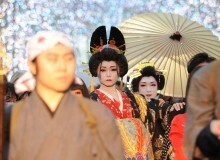 Even today, Tsumago-juku is a popular place to spend the night, just as it was in the Edo Period. We visit Wakihonjin-Okuya, an inn used by feudal lords and important members of their parties on their Nakasendo journey. Now open as a folk museum, the Okuya was built in 1877 using only cypress—a precious wood in Japan—and was designated as an Important Cultural Property of Japan in 2001. 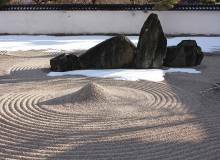 Its exhibits include a tatami-floored Japanese-style toilet and a barrel-shaped bath used by and made for Emperor Meiji and Princess Kazunomiya, who once visited the inn. We enjoyed another healthy activity: forest bathing in Akasawa Recreational Forest. With 300-year-old cypress trees, it is one of the three most beautiful forests in Japan, and is renowned as being the birthplace of forest therapy. Studies have shown that experiencing time in forests results in improved physical and mental health, as well as boosted immunity. Aside from offering eight walking tours suitable for a wide range of abilities, the facilities include a railway and a museum. 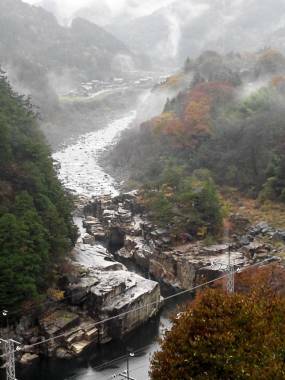 In nearby Agematsu, a viewpoint overlooking Nezame-no-toko Gorge has been a popular place to rest among travelers for centuries. Its rock formations, emerald green river, and colorful leaves in fall have earned it the title of nationally designated scenic spot. From historical to modern, our stay at Tsutaya Tokinoyado Kazari effortlessly combined the best of Japanese tradition and the cutting edge. Having been renovated in 2015, the accommodation is airy and spacious, while the cuisine is made using local and seasonal ingredients with masterful detail. The outdoor bath, amid a tranquil forest, proved a great way to both end the day and start the next one. 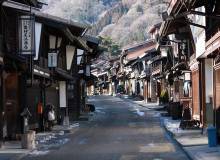 This article is part of three day series on the Nakasendo Trail.